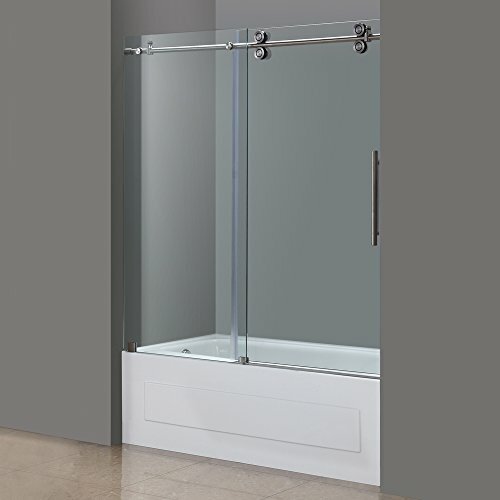 Turn your boring old tub door or curtan into a 21st century marvel with the TDR978 60" x 60" completely frameless sliding tub-height shower door in stainless steel finish. This industrial-modern fixture creates a custom-themed decor at an attainable price. Complete with 10mm ANSI-certified tempered clear glass, deluxe clear leak-seal strips, and 4-wheel operating system for smooth motion - this stunning door is sure to impress anyone and everyone. The door is engineered for reversible installation. If you have any questions about this product by Aston, contact us by completing and submitting the form below. If you are looking for a specif part number, please include it with your message.